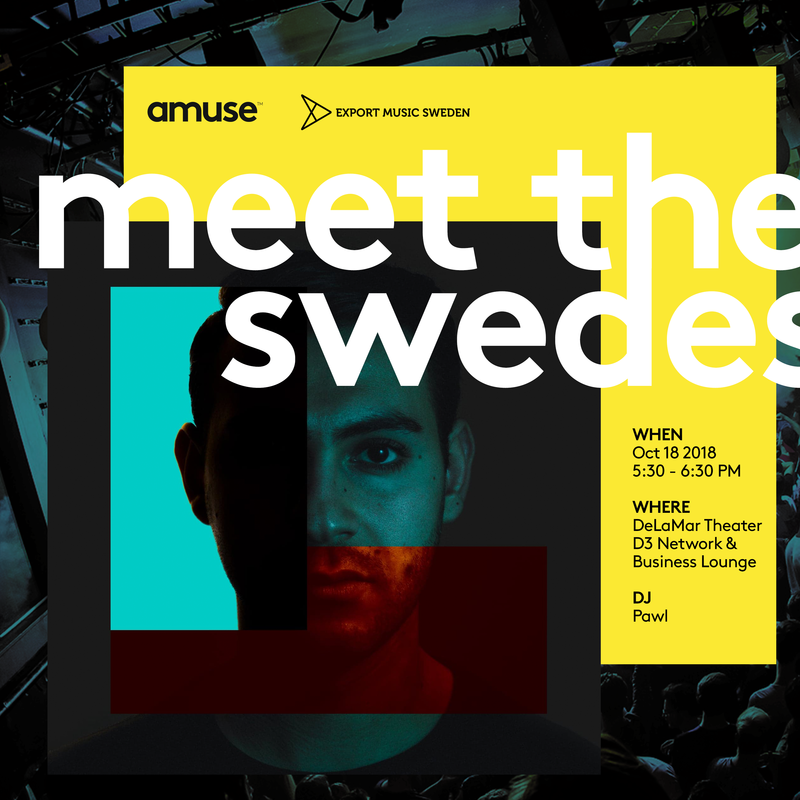 Join the Swedes for music and networking at the ADE D3 Network & Business Lounge at DeLaMar Theater. Local talents and representatives from the Swedish music industry will be present while upcoming artist and DJ Pawl (Amuse) working the decks. Free drinks - first come, first serve. Attendance is open to any ADE conference pass holders. Presented by Export Music Sweden & Amuse.